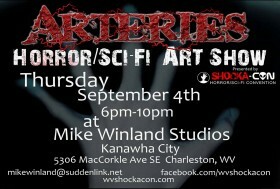 ShockaCon, Charleston’s premeire horror/sci-fi convention is a few weeks away, and this coming Thursday, just to get us in the spirit, ShockaCon presents Arteries, a horror and fantasy-themed art show at Mike Winland Studios in Kanawha City. You will be able to see cool art from Mike Winland, Chris Woodall, Lee Harrah, Melanie Larch and myself and many other of the area’s top artists. The show is one night only and runs from 6 to 10 PM. This year ShockaCon itself moves to the Beni Kedem Shrine, right next to the Charleston Civic Center. There are tons of great guests, including Fred Williamson, C. Thomas Howell and Erika Elaniak and Michonne’s pets from The Walking Dead. Plus there will be vendors and live music from The Renfields, the Big Bad and The Jasons, and a performance by The Wayward Girls School of Burlesque. In addition to that there will be panels and seminars and a costume parade from The Charleston Town Center. Details are in the promo clip at the top of this post. 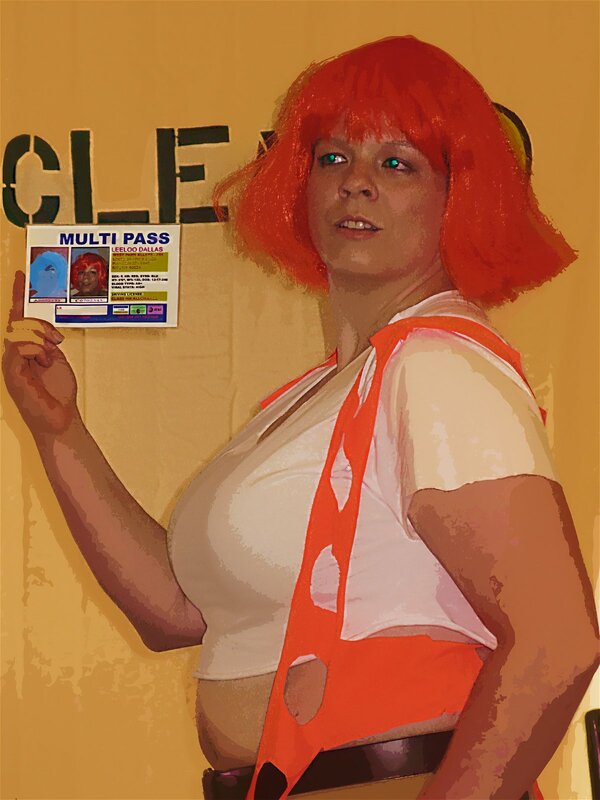 Last year’s Halloween shows, shot during ShockaCon, are below. …NINE WAYS TO WRITE LIKE POPCULT! 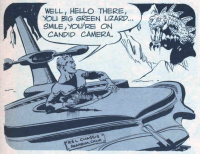 You have to write about cool stuff, be it comic books, toys, animation, music, classic television–actually whatever floats your boat. In PopCult I try to write about things for which I truly have a passion. My whole life I’ve been obsessed with hunting down cool things and telling other people about what I find. It takes more than simply starting a blog with “Pop” in the title. You have to really love pop culture and the artifacts, legacies and influences left behind in its wake. The Batmobile should make your blood rush. Yellow Submarine should be viewed regularly. Robot B-9 should be the person you want to hang out with. You should be able to speak with authority about the upcoming comic book crossover between Star Trek and Planet of the Apes. Know your stuff. Failing that, post a random non-sequitor. Not a lot of time for reading. The PopCult Bookshelf will return next week. Also, don’t expect the PopCulteer to be posted until tomorrow night, folks. 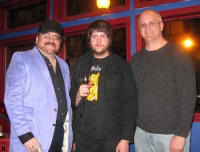 Also, today marks NINE YEARS since the beginning of this, The PopCult Blog. So you can probably guess what the PopCulteer will be about. Hey, y’know that top secret project I’ve been talking about all week? Well, if all goes according to plan, by the time you read this, Melanie Larch and I will have become a married couple. 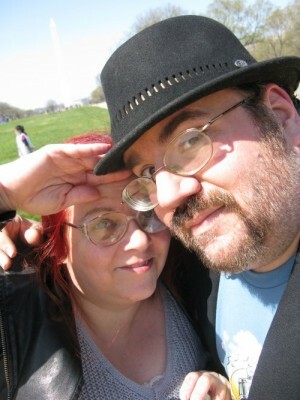 And to think, it only took 24 years for us to tie the knot. With all our elder-care commitments fulfilled and no other obstacles in our path, we can finally be together. The ceremony is to have taken place Tuesday morning on the Stage of the Steppenwolf Theatre in Chicago. We wanted a quiet ceremony in a special place, and that fit the bill perfectly. Every PopCult post that has been published since last week was written on Wednesday, August 20. That’s why the tense is all wonky. If you’re wondering why we decided to get married in Chicago, there are many reasons. First of all, I hate cermonies. I just can’t stand the pomp and circumstance and other related BS that fuels the Wedding Industrial Complex. I just want to be with the woman I love. I don’t want to go through the Spanish Inquisition. On top of that, Melanie and I didn’t feel right getting married in a state that does not allow all of our friends the same right. I know it’s inevitable that marriage equality will come to the Mountain State, but we didn’t want to wait any longer. Add to that the moronic law passed a couple of years ago that coerces people, even people who have been together more than two decades, into undergoing religious and/or psychological counseling before they can tie the knot, and it was clear that, as far as getting married goes, West Virginia is not open for our business. We’re hoping that none of our friends feel slighted that we did this out of town. In the event that anyone reading this really feels the need for us to have a huge reception with tons of guests, please, feel free to throw one for us. We’ll be there… as long as we don’t have to do any planning or pay for it. Yeah, we’re going to wallow in nostalgia again this week and look at videos of old toys from the 1960s. This time our subject is Motorific, a toy car made by Ideal. This was a cool, battery-operated car that came with small, interchangeable motors. In fact, the same motors were used in Boaterific, and with slight modifications, The Zeroids line of toy robots. You could do all sorts of modifications to these toy cars, which cashed in on the car craze of the time. 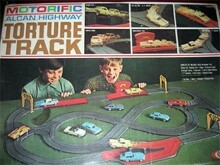 The most sought-after set was the Torture Track, complete with all sorts of tricks and ways you could do stunts and crash your cars. So take a look at a mix of old commercials and new video of vintage toys in action. And keep checking PopCult for the Top Secret surprise this week. There’s more after the jump! This week The RFC MINI SHOW presents the mighty Plaid Clash, bringing their Celtic magic to the Bluegrass Kitchen. This four-piece features Chris Higgins, Garrett Maner, Dan Carney and Vaughn Gold singing and playing a variety of instruments. This dynamic combo has been playing around Charleston for a few months, and we finally caught up to them at the Bluegrass Kitchen just a couple of weeks ago. 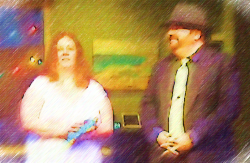 We will be catching up with them again in the future, as we didn’t bring the right recording equipment to capture the audio at this event in our usual high quality. Bluegrass Kitchen is one of the finest restaurants in town, and was packed, and our microphones picked up nearly every dinner conversation in the place instead of the music. Even with the less-than perfect audio, we wanted to give you a taste of this great band. Rest assured that Plaid Clash will grace the RFC screen again in the near future, with audio that does their beautiful sound justice. You can next hear Plaid Clash Sunday, September 7, as part of Culture Fest in Pipestem. 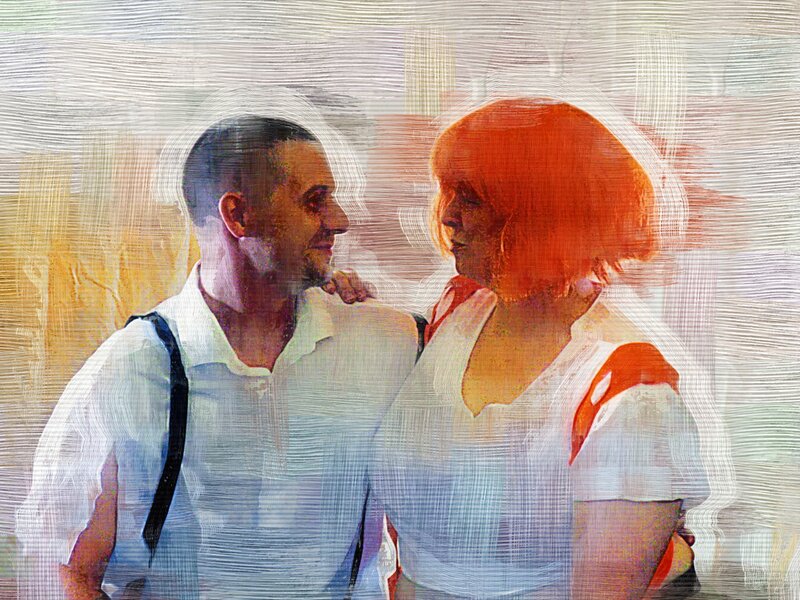 We go back to last week’s edition of Dr. Sketchy’s Anti-Art School for more digital paintings of Luna L’Enfant as Leeloo, and Mudd Flapp as Korbin Dallas, from the film, The Fifth Element. Click to enlarge, and keep reading PopCult for the top secret surprise. Enjoy The Jam, Live At Bingley Hall, Birmingham, England from 1982. 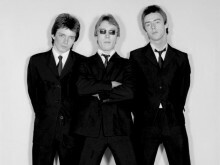 Go back 32 years, when The Jam were a hot young English band that sprung out of the punk/new wave movement and spearheaded a short-lived Mod revival. Paul Weller’s pre-Style Council band was one of those great musical entities that never quite managed to cross the Atlantic and find commercial success in the US. That doesn’t take away from the excellence of their R&B inflected, sharp British Pop-punk. Also, remember to keep checking PopCult for all our regular features and possible top secret surprises this week. This week we’re departing from our normal Flashback efforts to revive missing shows so that we can bring you a couple of shows that featured Joseph Hale, who passed away last Monday. 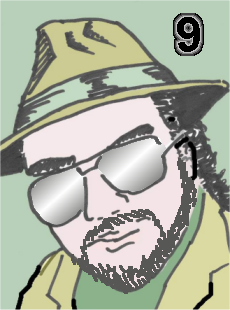 Above you see episode 6o of RFC with Joseph’s first appearance on the show, using the name Joseph Henry (he also turned up as Joseph Hellmouth for a time). You’ll see Joseph performing solo and with his good friend, John Radcliff. You can find Joseph and his other good friend Todd Burge performing twisted Christmas songs on RFC 89 HERE.